Pasta with Fresh Tomatoes & Spinach Fill 1 Created with Sketch. Fill a medium pot with salted water; cover and heat to boiling on high. Wash and dry the fresh produce. 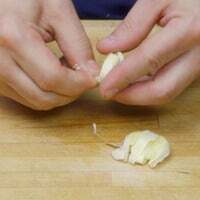 If necessary, peel 2 cloves of garlic, then roughly chop. 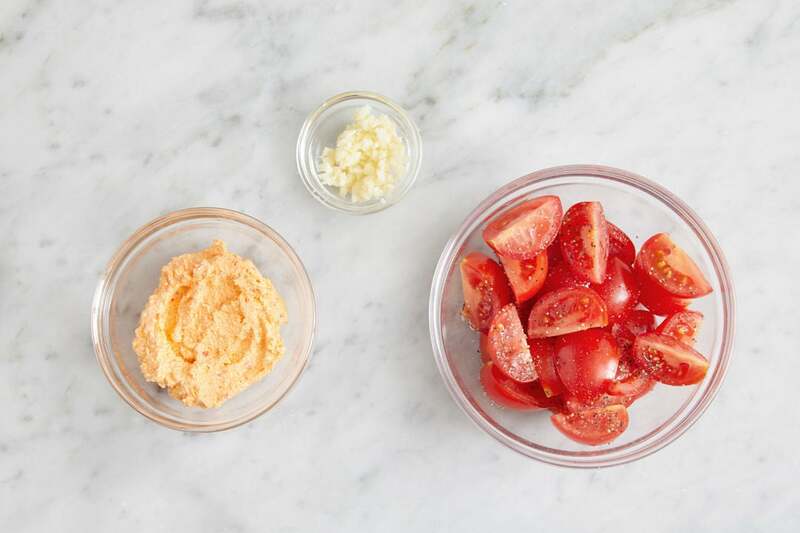 Quarter the tomatoes; place in a bowl and season with salt and pepper. 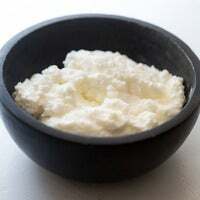 In a medium bowl, vigorously whisk together the ricotta cheese, a drizzle of olive oil, and as much of the chile paste as you’d like, depending on how spicy you’d like the dish to be. Season with salt and pepper. Add the pasta to the pot of boiling water. Cook 10 to 12 minutes, or until al dente (still slightly firm to the bite). 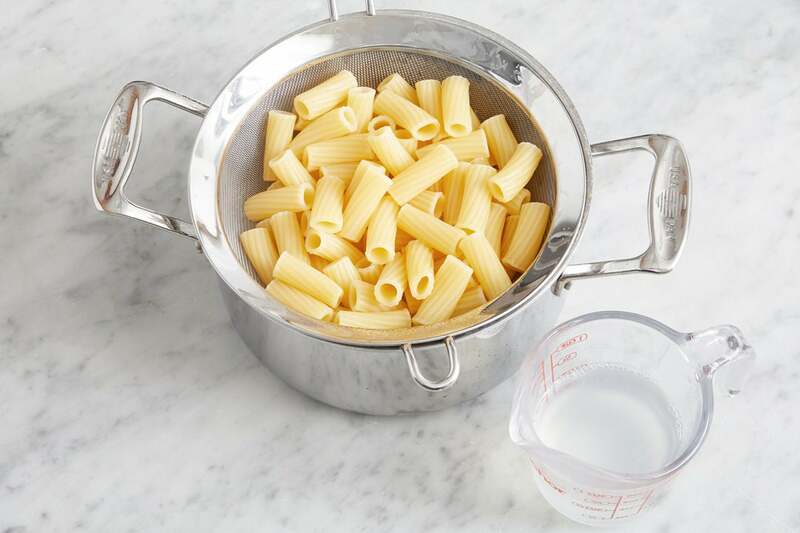 Reserving 1/2 cup of the pasta cooking water, drain thoroughly. While the pasta cooks, in a medium pan (nonstick, if you have one), heat a drizzle of olive oil on medium-high until hot. Add the chopped garlic; season with salt and pepper. Cook, stirring frequently, 30 seconds to 1 minute, or until slightly softened. 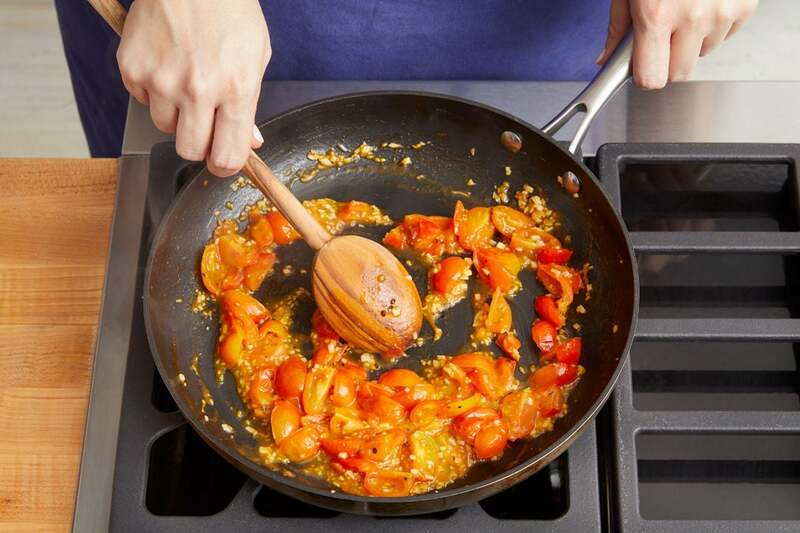 Add the seasoned tomatoes. 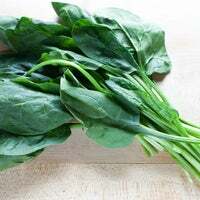 Cook, stirring frequently, 2 to 3 minutes, or until softened. Turn off the heat. 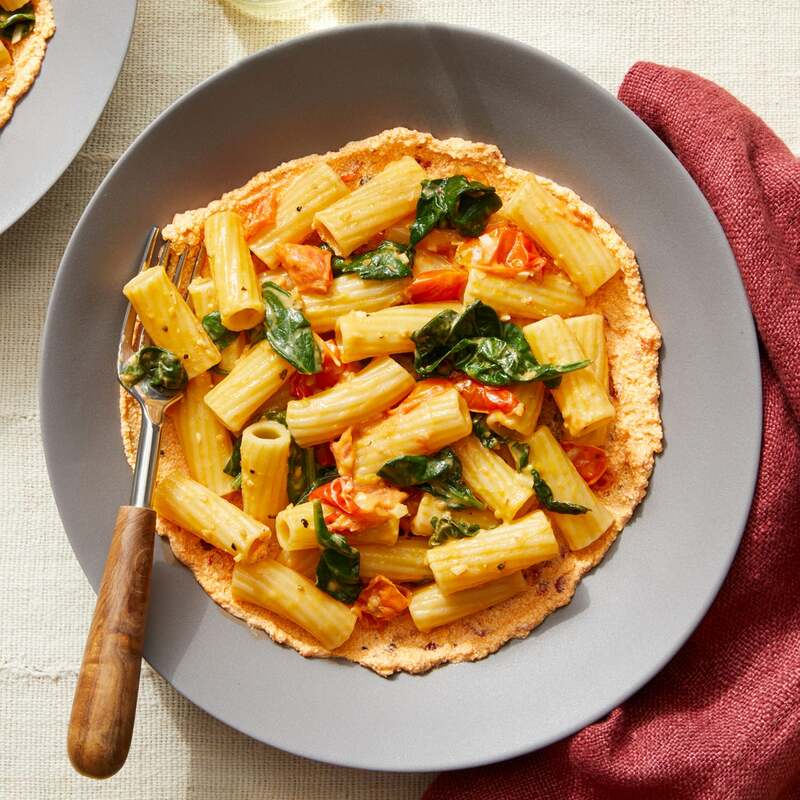 To the pan of cooked tomatoes, add the cooked pasta, mascarpone cheese, spinach, and half the reserved pasta cooking water. 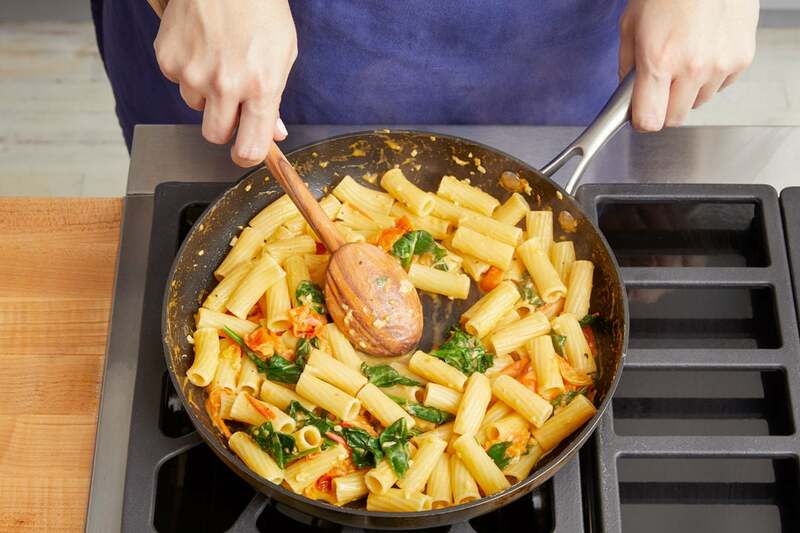 Cook on medium-high, stirring constantly, 1 to 2 minutes, or until the pasta is coated (if necessary, gradually add the remaining pasta cooking water to ensure the pasta is thoroughly coated). Turn off the heat. Taste, then season with salt and pepper if desired. 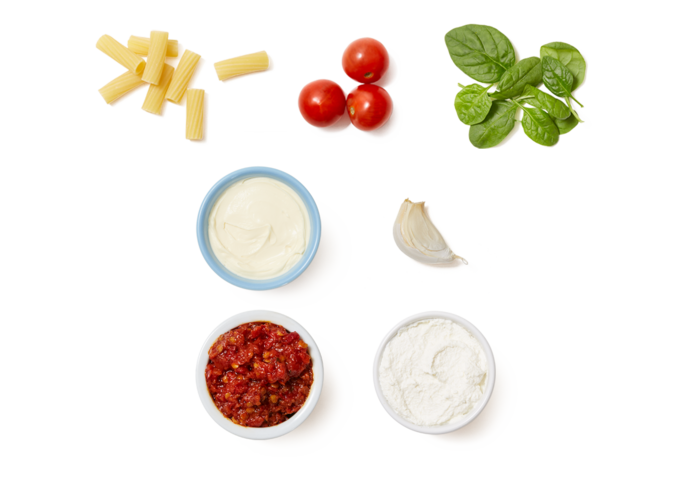 Divide the spicy ricotta between two dishes and spread into an even layer. Top with the finished pasta. Enjoy!